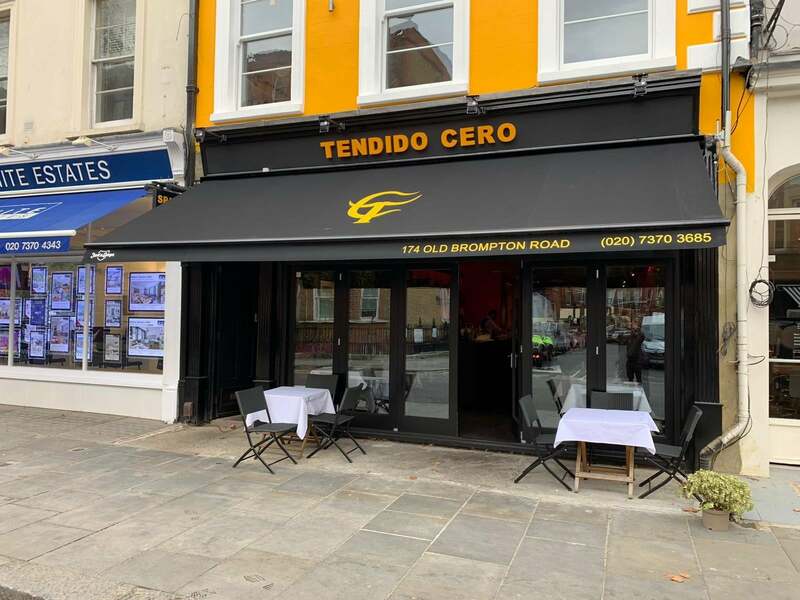 After losing their awnings to a strong gust of wind Radiant Blinds & Awnings installed 3 classic folding arm awnings to these 2 restaurants in Kensington, London. 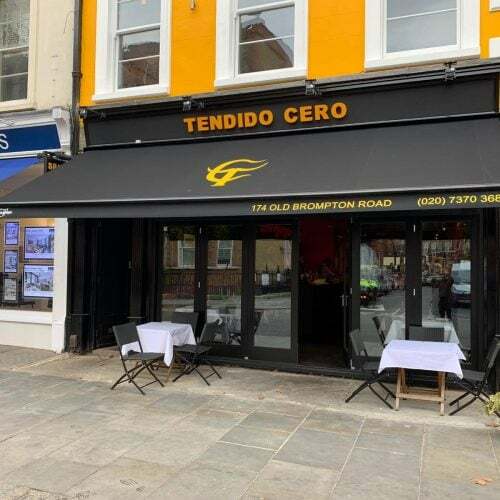 The Weinor Topas folding arm awning is available in over 50 different frame colours, the owners chose classic black frame and cover. 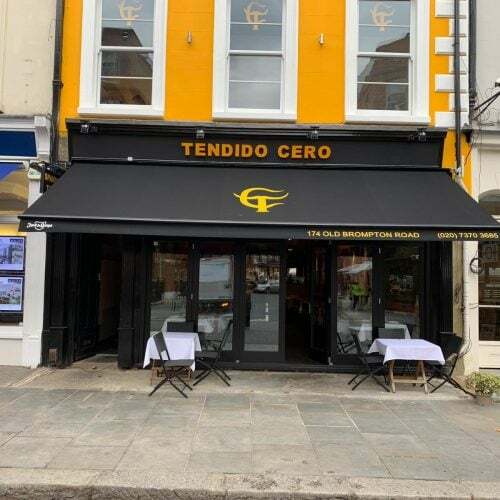 For ease of operation for the staff, these awnings are operated via a wall mounted wireless remote control allowing them to operate the awnings by the touch of a button. 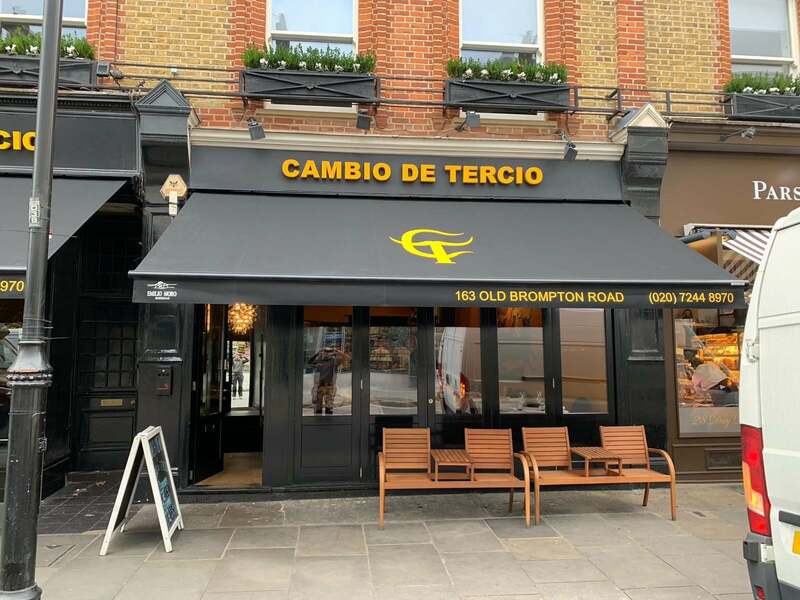 Signwriting has been carried out by our own team and our designer works closely with our sales executives to achieve the look that the client wants. 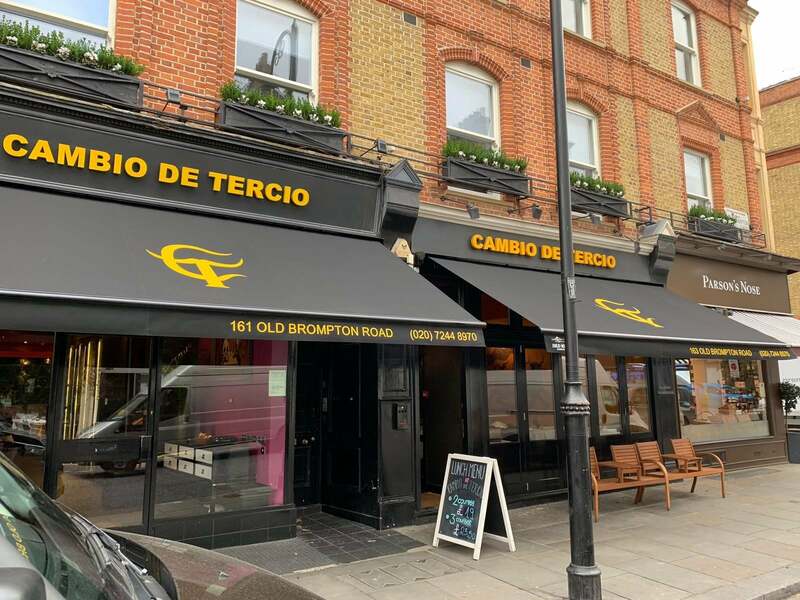 Cambio de Tercio is located in the heart of Chelsea-South Kensington. 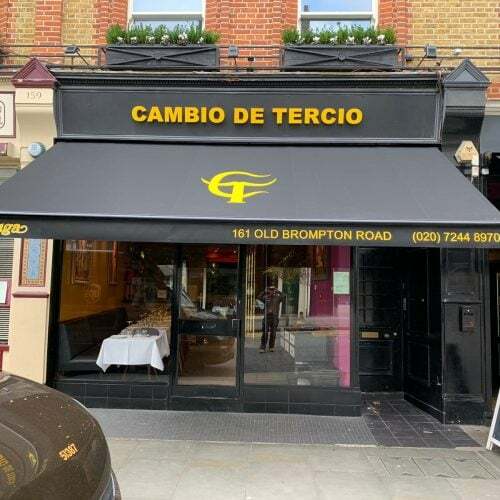 It was established in June 1995 and a pioneer in offering modern and innovative Spanish cuisine in London. 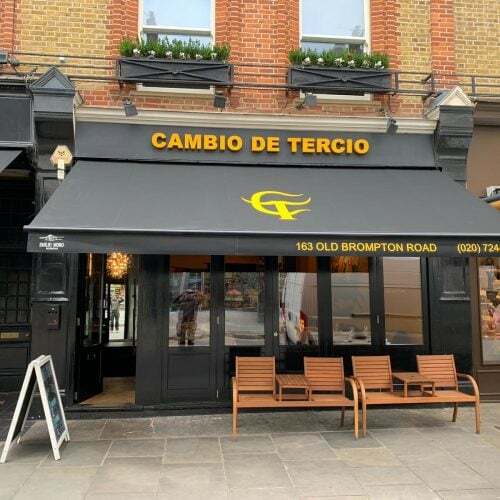 They also offer traditional Spanish recipes, but it their chefs ALBERTO CRIADO’S creative dishes, that defines them. 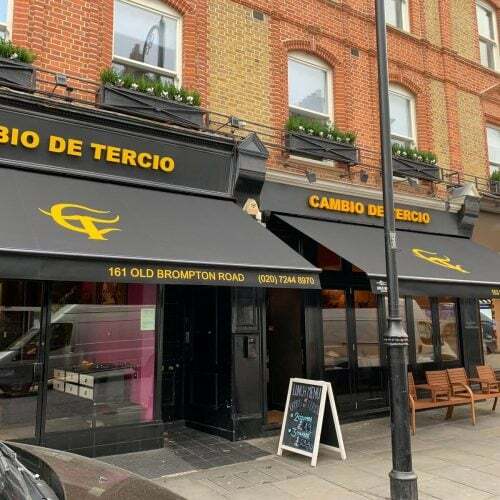 Their success has been based on the effort, passion and dedication of everyone of them working at the restaurant and their loyal clientele who have helped them to evolve and grow. In recent years, Weinor have won numerous design prizes for the superb design of its alfresco products. The awards confirm that the products they offer are not only high quality in technical terms, but also set high standards from a visual perspective. With effective and modern production methods and an optimum price-performance ratio. At the same time, they always focus on the customer’s needs. 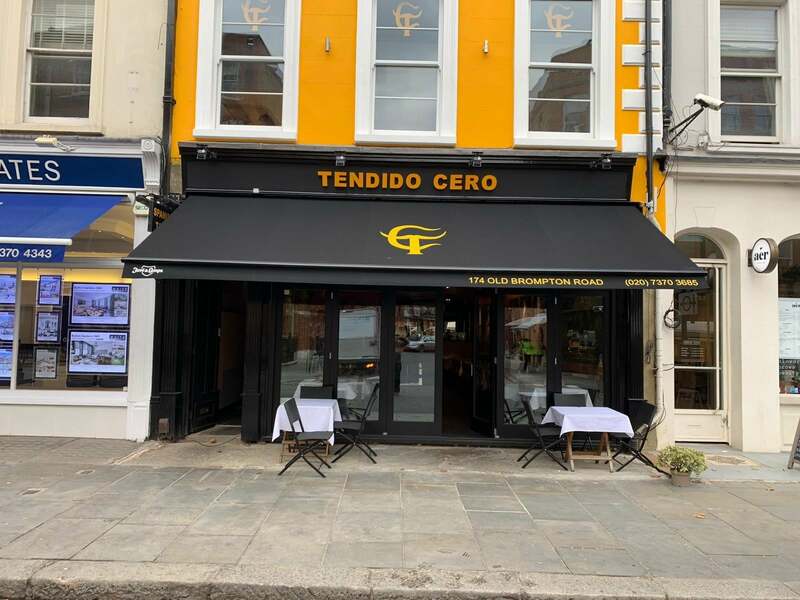 For more than 50 years one of their declared aims has been to provide a better quality of life around the alfresco setting. 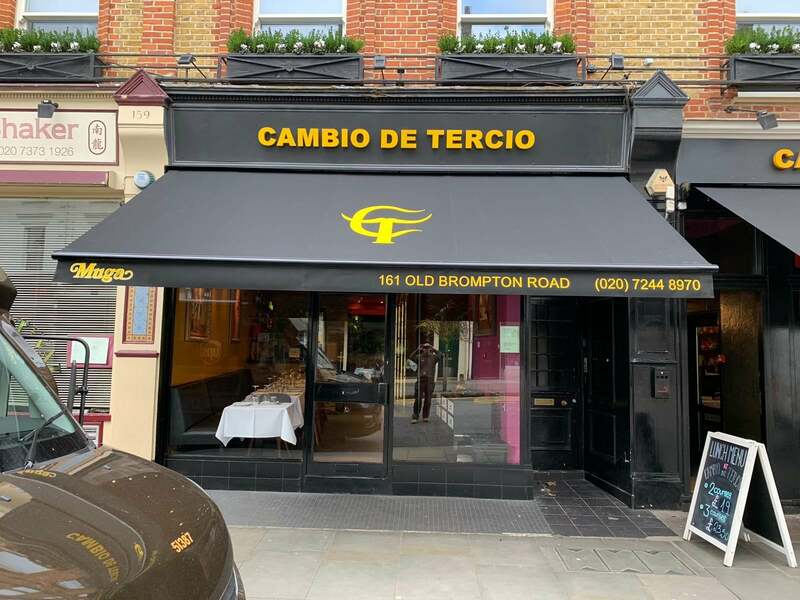 Creating a comfortable atmosphere with products which blend harmoniously into the areas of sunshine and greenery, light and shade – that is the challenge Weinor has been pleased to set itself. High quality innovative products and a very high standard of service for demanding customers – that is what Weinor stands for. While many competitors speak of quality, Weinor provides it, and they do it with conviction and passion. Their technicians and engineers are quality enthusiasts – serving the customer.